About Ted The Wine Guy & Co. Montgomery Al - Ted The Wine Guy & Co.
Ted “The Wine Guy” & Co. is locally owned and operated by Ted Klose and Scotty Scott. Both long-time wine enthusiasts, Ted and Scotty have acquired a vast amount of wine knowledge. We continuously enhance our credentials by staying on top of current trends through extensive wine tasting and participation in industry seminars. 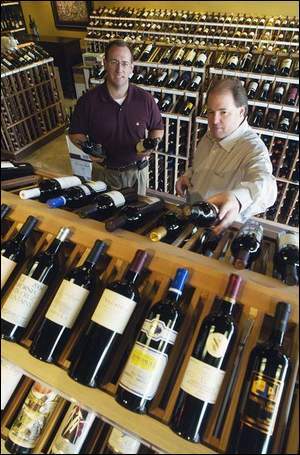 Offer the most comprehensive selection of wines in the Montgomery area. Provide our customers with the most knowledgeable, friendly service possible. We carry a diverse wine portfolio ranging from humble table wines to cellar-worthy collector's items. Specialty wines are housed in our custom built, climate controlled wine cellar. Also, if you are seeking an item that we do not have in stock, we will gladly try to order it for you. In addition to wine, we also carry specialty beer in regular and bomber-size bottles.